Park Shin Hye arrived in Beijing today to attend the annual LeTV Entertainment Awards. She was invited to represent her country in this award ceremony as well as received an award herself. Tonight Park Shin Hye arrived at the event dressed all in black in an empire style dress looking very elegant and classy. Tonight Park Shin Hye won the Asian Popular Female Star Award. Congratulations Shin Hye!! We're so happy for you. A true Hallyu Star!!! We're so proud of you!!! 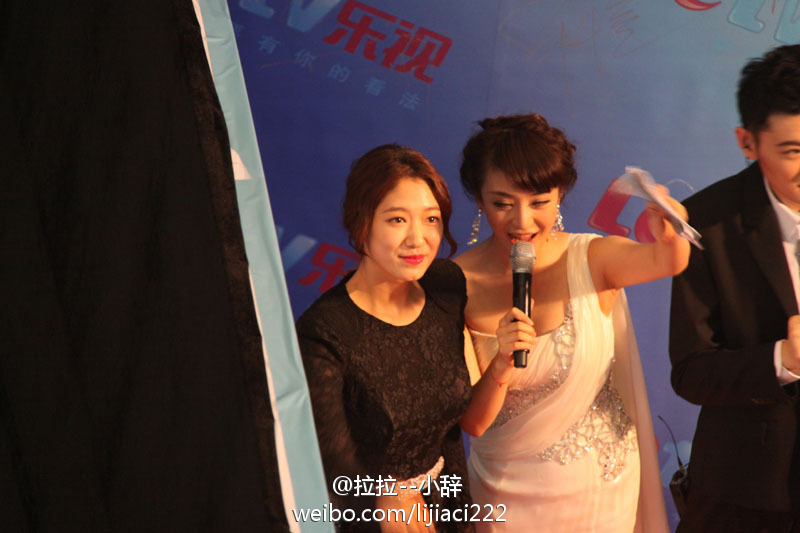 After receiving her award, she was interviewed by LeTV. Here is a clip of her interview. In the interview, Shin Hye said she might have another project by the end of the year. Please look forward to it!!! Earlier today when she arrived many of her Chinese fans were at the airport to welcome her. Here are more pictures and videos of her arrival. Lee Kyu Won was amazing. I miss her so much..
Keep it up. Praying for you! I can't wait to see what she will do next, drama or movie. Congrats again Shin Hye. You deserve everything that comes your way. You are such a hardworker!!! Love you. Stay beautiful and humble always. Congratulation Shin Hey we're so happy for youand so proud of you, you deserve it and more waiting for your next project Saragney.